Sometimes in life you need to come apart, lest you come apart. I wrote a few weeks ago about being in the middle of a writer’s perfect storm: editing one book, writing another on deadline, preparing to promote yet another one. Now, as if I didn’t have enough to consume my brain, I recently started a new position at work, one that brings with it much more responsibility and a huge learning curve. In short, I’m feeling a little stressed and need to take some time off. 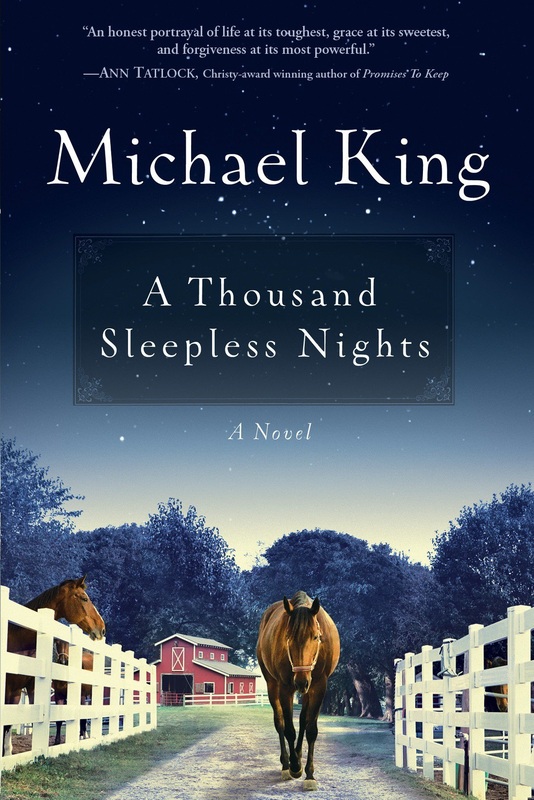 My novel, A Thousand Sleepless Nights, (written under my new pen name, Michael King) releases October 16. The book is available for pre-order at most online retailers but PLEASE DON’T BUY IT YET. I’m asking readers to wait until the week of October 15 to purchase the book. And if you wait, there will be something in it for you. Free stuff. Everyone likes free stuff, right? When time gets closer I’ll give more details, but for now, please wait to purchase the book. It will be worth your while. Posted on September 24, 2012, in A Thousand Sleepless Nights, Michael King and tagged A Thousand Sleepless Nights, Michael King, Online shopping, Writing. Bookmark the permalink. 4 Comments. I pray you have a great rest Mike. I pray you can tap into God more; recharge your batteries and a spiritual boost. I have not been as active here lately as I wanted to let the others have the floor so to speak as they are here for you for ATSNs. Still praying for you though. Sometimes you just need to get away and spend time with God. Nature is where I can feel Him the most. I find Him in sunsets, in children’s faces, and out in meadows covered in wild flowers. A true peace then descends and I am ready to face whatever is outthere. Good idea Mike. Rest is so important so you can always be present in each area of your very hectic life. Praying for you Mike that Jesus will fill you with His supernatural energy. Mike, I have a new email address.